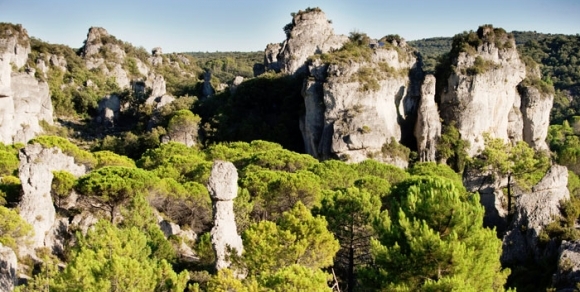 in southern France, on the road to the Haut Languedoc. 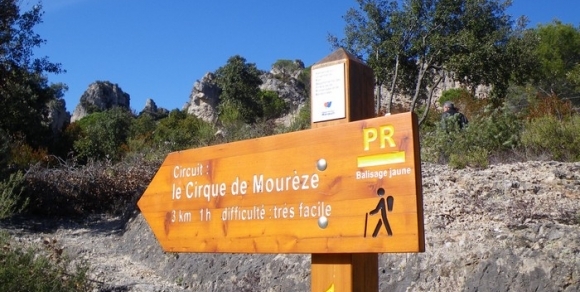 The Cirque de Mourèze brings you a surprising natural environment. The site, (which is formed from limestone rock which has been carved and sculpted by erosion) resembles a ruined landscape. Its bizarre shapes conjure up all kinds of images. 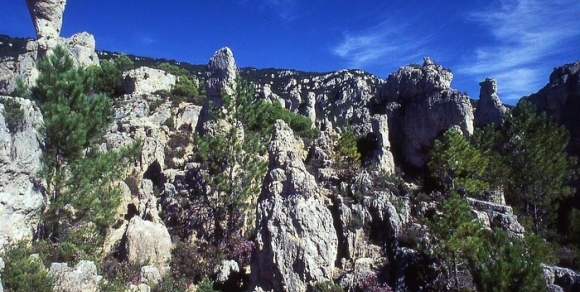 The Cirque de Mourèze is a 300 hectare dolomitic formation. you're in another magical, timeless world... or on another planet! 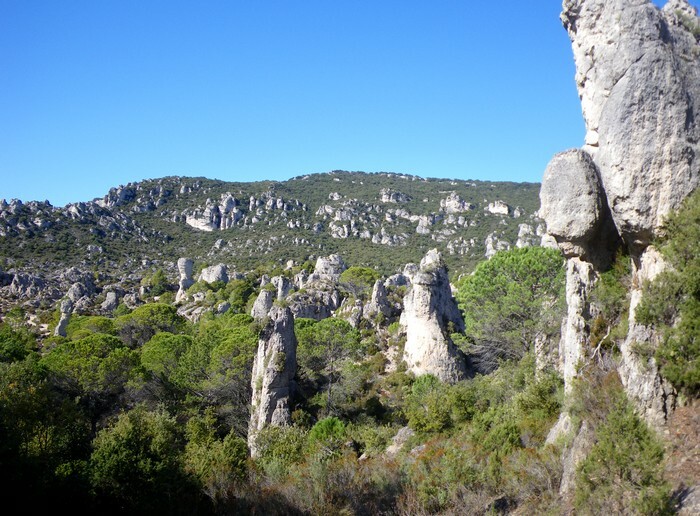 A number of hiking trails offer the possibility for adventure at this unique and very unusual natural heritage site. of the various remains found at the site. the natural maze of strangely shaped rocks. 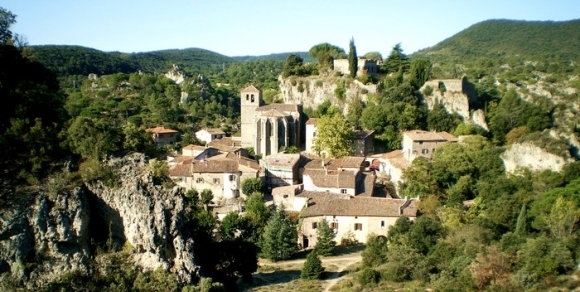 From Clermont l'Hérault (30 minutes from Montpellier), take the D908 road heading towards Bédarieux. After approximately 6 km, turn off this road onto the D8E4 heading towards Mourèze. At the entrance to the village, you can park up on the car park to your right or carry on a little further and park up at the car park on the left just before the small bridge. 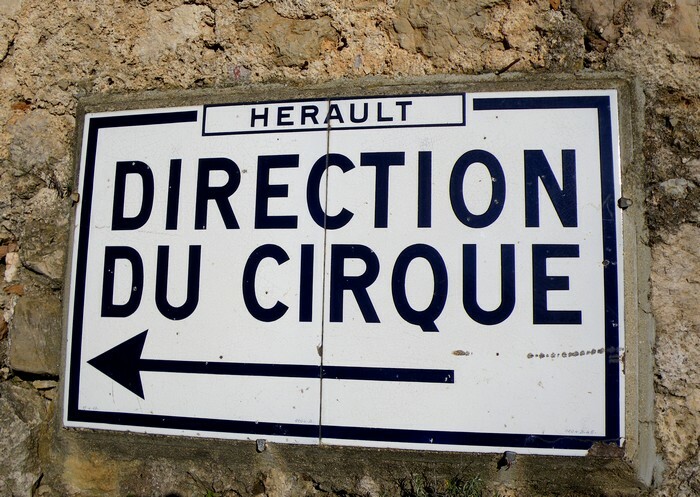 You can reach the cirque from the centre of the village.